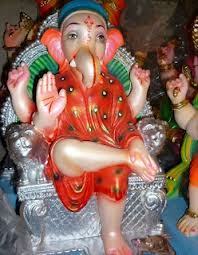 This is the time of the year when we all welcome The Elephant God – Lord Ganesha with full festive fervour. I had written about the story of Ganapati’s head and our trip to Mumbai’s favorite Ganapati Lalbaugcharaja. I can’t get enough of The Vignaharta(remover of obstacles). Years ago during the British Rule when people were prohibited to gather in large numbers, Bal Gangadhar Tilak came up with this brilliant idea of Sarvajanik Ganapati(community Ganapati) festival. He brought the Ganapati out of people’s house and made it a public celebration. This helped people develop a sense of belonging and helped the Indian Independence Movement. This year I am at the birth place of this trend – Pune. Even years after Independence people continue to celebrate the festival with equal gusto. In fact even now the festival is used to depict current events or raise social awareness. 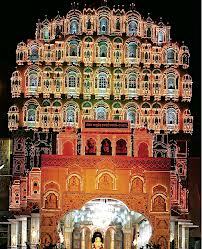 For me the best part is the creativity shown in the decorating the mandaps and the Ganapati idol. 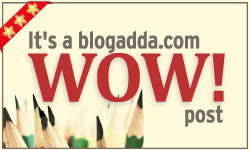 The mandaps can be Mysore palace, mythological backdrop, garden, The Himalayas, an egg shell! !, or even a dinosaur. Imagine going inside a dinosaur to see the Ganapati idol. 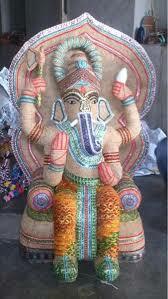 The expression of human creativity while making a Ganapati idol has no limits. It can Ganesh in the form of other Gods like Vishnu with a seven headed snake, shiv or others, it can be Ganesh made of mustard seeds, sesame seeds, coconut fiber , Cadbury gems, leaves or at times even recyclable material like the cycle parts. 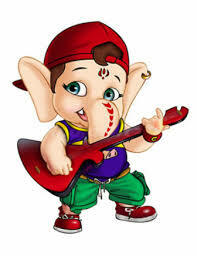 At times it can highlight current issues or just be fun like I remember seeing during my childhood – a Police Ganapati, a lawyer Ganapati, a rockstar Ganapati, a software engineer Ganapati, a judge Ganapati ans so on. Use of technology to improve on story -telling for Mythological stories is yet another interesting aspect of this. People from all walks of life and even different religions celebrate the festival. And the best part is people enjoy this festive season in all its forms with no discrimination and God is seen in his innumerable avatars too. Just like the way the Lord almighty exists in many different forms.